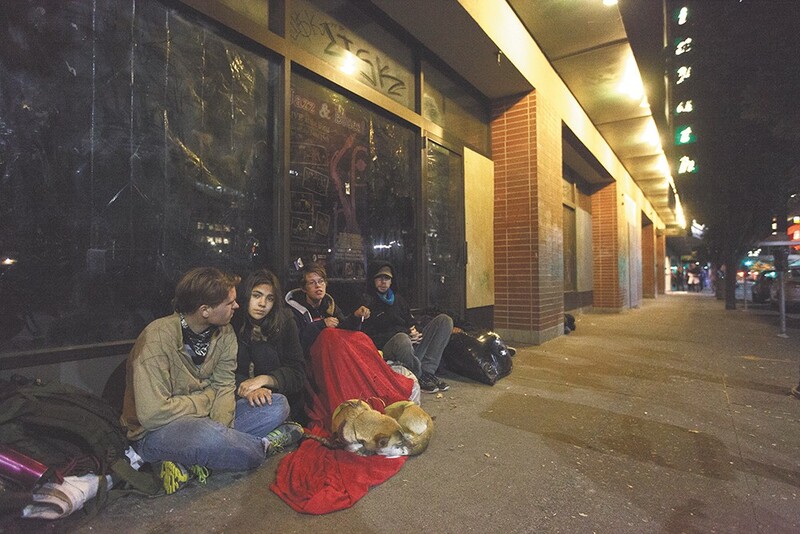 The number of HOMELESS STUDENTS in Spokane decreased last year, even as student homelessness statewide has increased, according to data from the state Office of the Superintendent of Public Instruction (OSPI). Spokane Public Schools reported 1,387 homeless students for the 2016-17 school year. That's a 25 percent decrease from the year before. The data count students living in shelters, hotels or with friends or relatives as homeless. "I think that's really encouraging," says Ryan Oelrich, executive director of Priority Spokane, an organization currently working to end youth homelessness. Brett Dodd, Spokane Public Schools coordinator of special programs, says the 2015-16 school year seemed to be the "peak" of student homelessness in Spokane. The numbers for the 2016-17 school year were similar to 2014-15. And so far in 2017-18, the numbers are relatively close to where they were at this time last April. The results were not as encouraging statewide, however. According to OSPI, one out of every 25 K-12 students in the state will experience homelessness sometime during the school year. Beyond the strain it puts on student families and student health, it also makes it more difficult for kids to do well in school, says OSPI Superintendent Chris Reykdal. "Students experiencing homelessness need a place that is stable, a place where they are supported and nurtured," Reykdal says. The original print version of this article was headlined "Encouraging Signs"